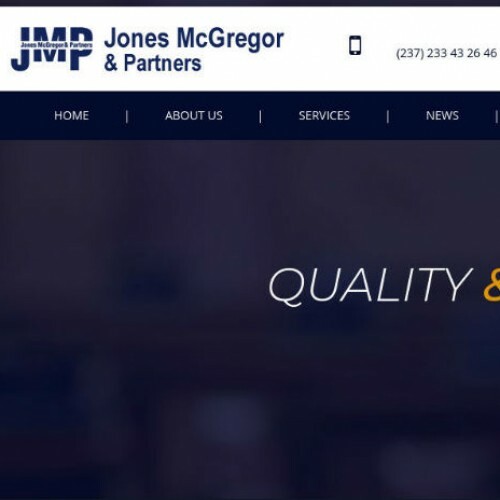 Located in Douala, Cameroon, Jones McGregor and partners is a full-fledged law firm founded by Jones McGregor Achu after 18 years of service as a legal practitioner and consultant. Advising from the specificity of Cameroon law to general regulations of the central African Monetary Community (CEMAC) and business laws under the Treaty for the Harmonization for Business laws in Africa (OHADA), as well as wide range of cross-border transactions. In seeking advanced marketing solutions to cut across borders and reach out its wide range of services which extends from general investment advisory within CEMAC and OHADA member states, covering structuring of investments incorporation of corporate entities, advisory through transactions and contract project financing, labour and employment, commercial litigation, Founder and CEO Jones McGregor Achu quickly realized the need for a website that clients could access services 24/7 AfroVisioN Group was recommended for creating websites that are highly customized and get results by Ndi Marine Group a satisfied customer that we have helped get results since 2010. Our team looked into their needs and took immediate action. After three weeks of planning designing and implementation, We came up with jmp-law.com a Laravel built website. After we were done the only thing we could hear from the customer was awesome you guys have far delivered more than expected. That was it another satisfied customer by AfroVisioN group and still counting.